The good news is that while the word “collapse” implies a sudden change, the fastest scenario is 200 years, and the longest is more than 1,000 years. The bad news is that such a collapse may be inevitable. Earlier warnings of collapse had been based on a simplified model of ice sitting in an inward-sloping basin. 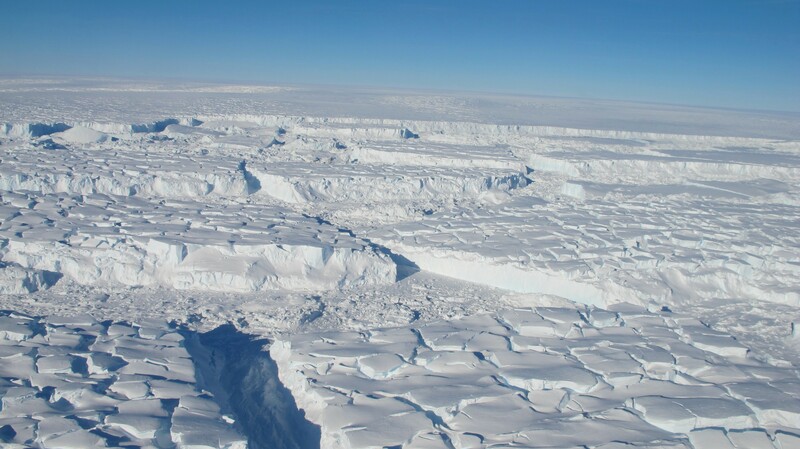 The topography around Antarctica, however, is complex. 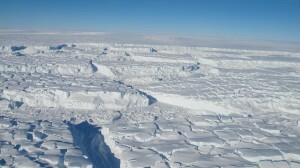 The new study used airborne radar, developed at the University of Kansas with funding from the National Science Foundation, to image through the thick ice and map the topography of the underlying bedrock, whose shape controls the ice sheet’s long-term stability. 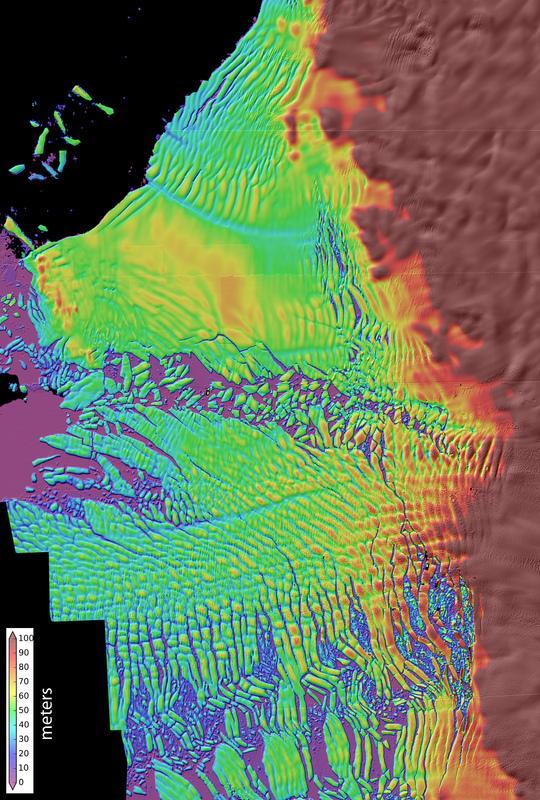 The mapping was done as part of NASA’s Operation IceBridge, and included other instruments to measure the height of the ice sheet’s rapidly thinning surface. In some places Thwaites Glacier has been losing tens of feet, or several meters, of elevation per year. UW researchers combined that data with their own satellite measurements of ice surface speeds. Their computer model was able to reproduce the glacier’s ice loss during the past 18 years, and they ran the model forward under different amounts of ocean-driven melting. The place where the glacier meets land, the grounding line, now sits on a shallower ridge with a depth of about 2,000 feet (600 meters). Results show that as the ice edge retreats into the deeper part of the bay, the ice face will become steeper and, like a towering pile of sand, the fluid glacier will become less stable and collapse out toward the sea. “Once it really gets past this shallow part, it’s going to start to lose ice very rapidly,” Joughin said. “All of our simulations show it will retreat at less than a millimeter of sea level rise per year for a couple of hundred years, and then, boom, it just starts to really go,” Joughin said. 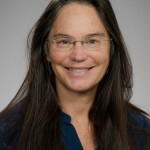 The other co-authors are Benjamin Smith at the UW and Brooke Medley, who did her doctorate at the UW and is now at NASA’s Goddard Space Flight Center. 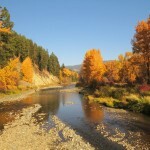 The research was funded by the National Science Foundation and NASA. For more information, contact Joughin at 206-221-3177 or ian@apl.washington.edu.